Mr. Perfect loves peanut butter and chocolate. He's been hinting for the last two days that he wants me to make some 'Better Than Reeses' squares. Lucky for him today is Sunday and I usually make a dessert on Sunday. I am also out of flour so his request works for me because there's no flour in these babies. I've seen many different variations of this recipe; this is what works best for me. Mix together graham cracker crumbs, sugar and peanut butter. Spread chocolate over peanut butter mixture. *TIP* Sprinkle some peanuts on top if you'd like. Chill until just set and cut into squares. Totally better than a Reeses! Mr.Perfect really liked the addition of salty peanuts. I would LOVE to try these! Thanks for linking to THIS WEEK'S CRAVINGS! Make sure to come back next week for "Romantic Dinner Ideas"
those are really yummy looking! I love peanut butter and chocolate, so I would LOVE your recipe. Thanks for sharing! I can't! I can't! This sounds sooo yummy! Sweet and salty - yummy! I'm with Mr. Perfect - the salted peanuts would be a great addition! Yum! Love that you added peanuts to the top of some! Yum, I love, love, love Reeses. How wonderful that you now have a whole panful of those to enjoy. What bliss! 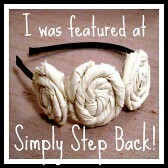 I featured this at Simply Step Back Today- thanks for linking up, and be sure to stop over and grab a feature button! I'm visiting from Recipes I Can't Wait to Try! This looks so good! I love reeses! My favorite is when they've been in the fridge for a little while. Something tells me that I would feel the same way about these. Thanks for linking up on Recipes I Can't Wait to Try! Be sure and come back this week to enter my giveaway! Holy Cow, I am drooling. I cannot wait to make these!!! Thanks for posting this. I featured this recipe as the Recipe of the Week over at All Thingz Related!! These look so delicious!!! I can't wait to try them. I know that my readers would want to try them too. I have a Blog Hop Monday & Wednesday (2 different Blog Hops) I would love to have you share with my readers the great recipe you have here..Please feel welcome..We have alot of fun things going on..Hope to see you..Take Care. Looks DELICIOUS, and non fat right? Thanks for sharing!! I am a new follower and those look so yummy. 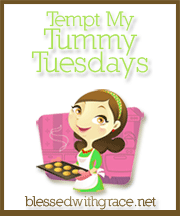 I am always trying to find things to make for dessert every week I like to try something new. Thanks for the recipe. made these for the fam last night--easy, fast, DEEEEELICIOUS!!! Thanks for the kind words! These make big smiles... and big bottoms. 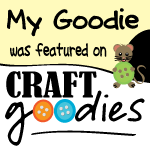 Just wanted to let you know that I “ Featured” you on Santa’s Gift Shoppe Blog Hop today for your great project & inspiration! 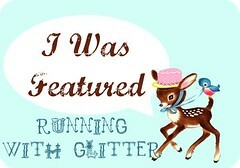 Be sure to grab the “I was featured” on Santa’s Gift Shoppe Button/Code for your sidebar! You deserve it! Thanks so much..If you’re not a follower already we’d love for you to join us...Have a WONDERFUL Week!! Oh my goodness...I can't tell you how far and wide I've been looking for this recipe!!! Thank you!!! I finally found it through All Thingz Related...she's got it on her sidebar. Yahoo!!! Mmmm...enjoying them RIGHT NOW!!! Thanks again!